When I play games, I don’t often do it for the challenge. I’m the guy that picks Easy in the difficulty settings. In my mind, games are meant to be enjoyed, not studied. I want to play to take a break from a long day of work and multitasking to do something rewarding. 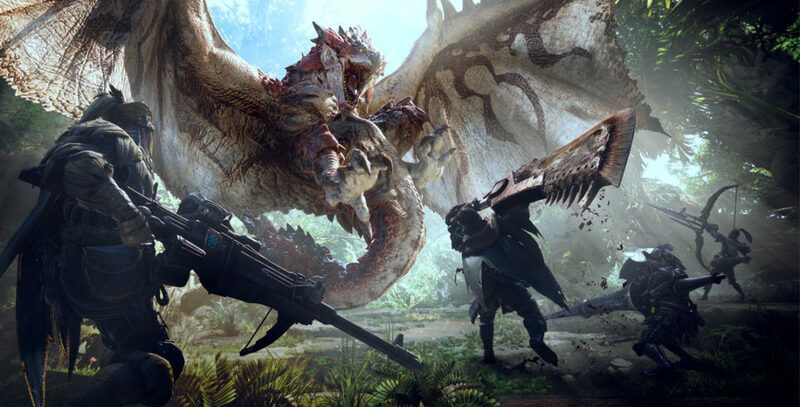 When Monster Hunter: World arrived I was intrigued by the open world and cooperative focus. What I discovered was much deeper. What have I gotten myself into? When I began my first hunt, I realized there is more than meets the eye in Monster Hunter. I thought this was a game where you started a mission, fought a thing and won some stuff. Rinse and repeat with a sword and board. My expectations soon faded as I discovered not one, not two, but SIXTEEN different weapon types to choose from. 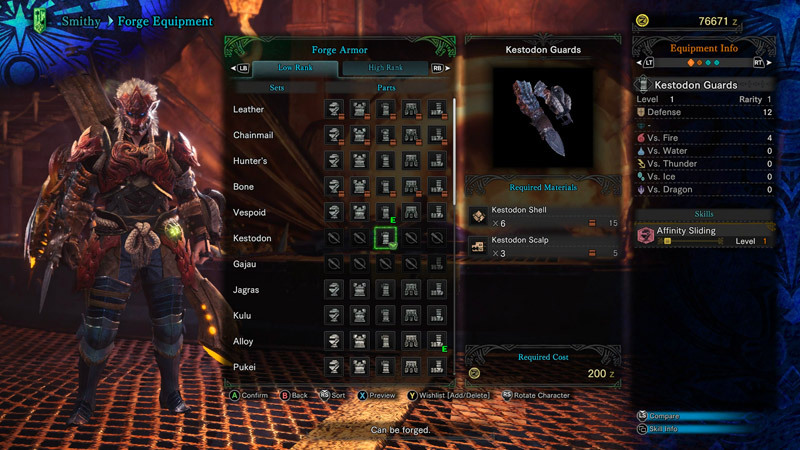 From the Charge Blade to the Bowgun, the diversity in weapon types in this game is incredible. I began my journey with the Charge Blade and learned it was slow and methodical with the axe mode but fast and forgiving with the sword and shield mode. This weapon was accessible and complex at the same time. Timing was everything. As a player who chooses to take it easy in most games, timing is not my forte. Enter the Insect Glaive. This weapon utilizes something hidden in the menus called a Kinsect. 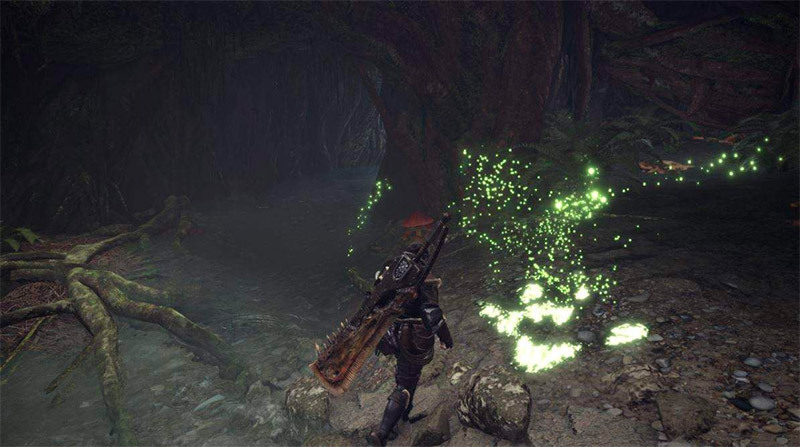 These little bugs can be purchased and nurtured to have increased damage output against certain elemental types and provide various buffs for your character. 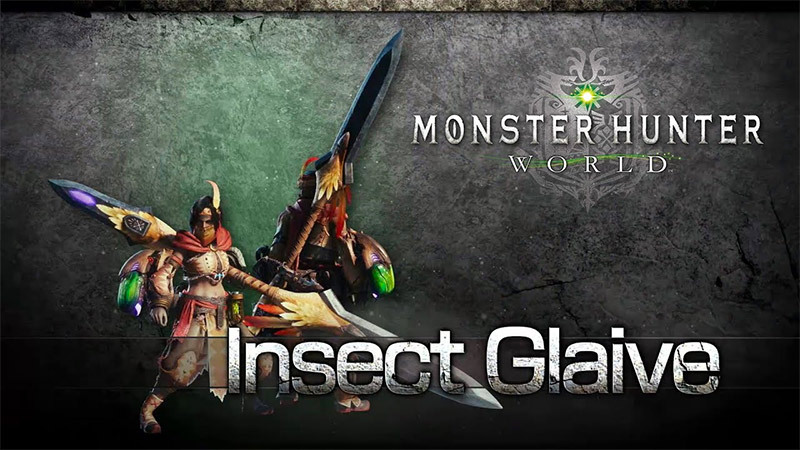 The Insect Glaive also allows players to vault into the air and rain attacks onto monster all while staying airborne. It’s incredible. If you send your Kinsect to harvest the monster’s parts while fighting, you gain buffs that eventually let you unleash a flurry of hits, like dropping a banana in a blender to make a monster smoothie. 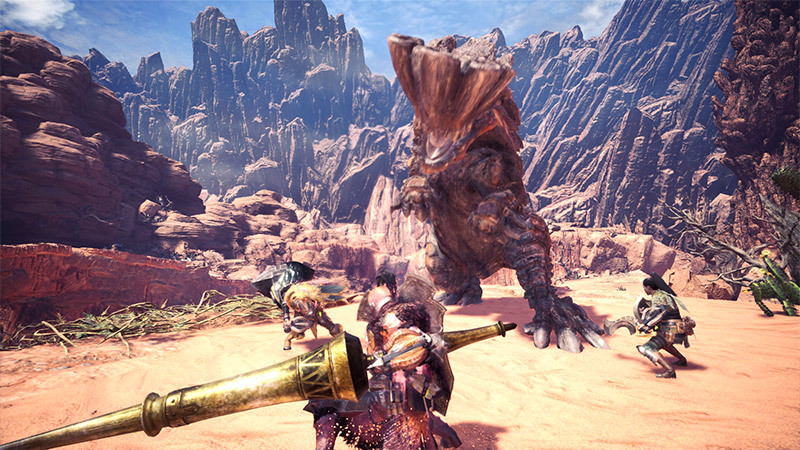 I first tested these weapons in the Ancient Forest, the first of many Worlds in Monster Hunter. It’s a vast, tropical space with multiple levels both high and low. From sprawling beaches and dark caves to the massive, swaying trees…this world has it all. Little green fireflies called scout flies guide you through this illustrious world and learn with you as you observe and research your environment. As a hunter, your goal is to track monsters and learn their patterns. You analyze footprints, skidmarks and even dung to gain more intelligence about the monster you’re tracking. The more you know the easier it is to find your target. I learned quickly that analyzing everything was crucial to success. In addition to tracks, the scout flies lead you to all the resources around the world such as Herbs, Honey, Mushrooms and more used to craft better items. I detest inventory management, especially when a game tells me that my “bag is full,” but Monster Hunter handles this system really well. You can set commonly used items to auto-craft back at home so as you find materials it will start crafting your potions, medicines and more back at your box so you never have to micromanage that stuff. This game was built with me in mind. In addition to the simplification of systems, you can also add a much needed armor piece or weapon to a “wishlist” which will automatically alert you when you’ve gathered all the parts you need to build something. These quality of life additions are crucial to making the game more accessible. These additions are wonderful in making the game more approachable for newbies like myself, but the ultimate addition? Playing with your friends. If it wasn’t for my friends and learning a new game together, I’d be way more behind than I am. Friend matching is a bit complicated at first. You have to join or start a session and then invite your friend to that session. When you start a story quest for the first time, your friends can’t join until you’ve finished the cutscenes. This can be a bit frustrating as some cutscenes can drone on for several minutes while your friend twiddles his or her thumbs at base. This reality improves greatly, however, with Squads. When you create a squad and invite your friends, anyone can start a squad session and anyone can join without being invited. Any quest can be played with at least one friend and this becomes immensely helpful, especially in the later game. Bringing in friends increases the difficulty, but having a friend allows you to strategize by taking turns healing and attacking or setting traps and distracting. The game also introduces new systems as you progress through the game. I love the way this is handled because it allows you to gain an understanding of one thing before learning another. For example, you have to kill several monsters and play through a third of the game before learning how to capture. 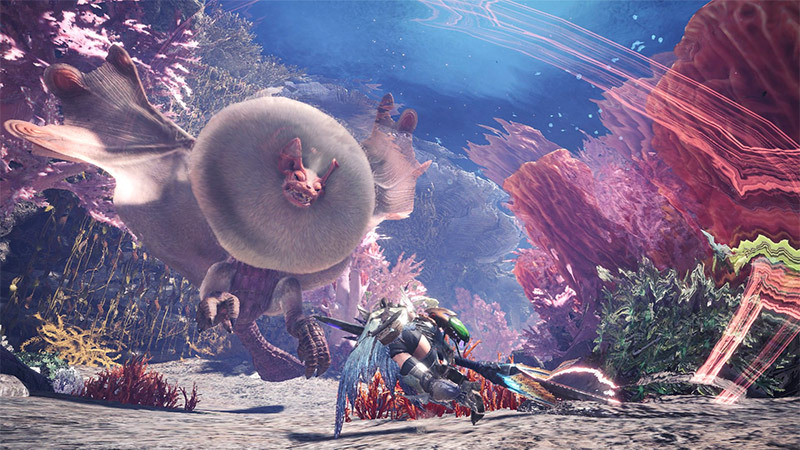 Capturing can generate different or even more rewards than killing a monster so learning this is important, but not until you’ve learned how to properly kill the monster. Regardless of the number of people in your party, the rewards are consistent. Having 4 vs 1 in the party will not take away the amount of rewards you receive. This encourages group play. One of the systems they introduce early on is an SOS flare. If you don’t have friends online, throw up an SOS flare and within a few minutes random players will join in your session to kill or capture the monster with you. It’s valuable for them because they get parts and its valuable for you because you don’t die as much (remember I always pick Easy mode). As time went on in this game, I wondered if I was getting better or the game was getting easier. It turns out, a lot of it is getting better. You increase your armor sets to add more defense against enemies but ultimately the more you play the more you learn the habits of the monsters you fight to take them down. Armor doesn’t make it easier to kill them, it just allows you to stay alive longer. Monster Hunter is incredible for its ability to build so many systems that keep you engaged but the magic is ultimately in the hunt itself. As a player, you research your enemy, learn its patterns and eventually attack it based on the knowledge you’ve gained. In the later game, you won’t survive the first round nor will you survive the second, but you will learn each time. Every battle is a lesson to make you a better player and a better teammate in the game. Learning new tricks makes the game worthwhile. As you fight in new realms, you’re introduced not only to new monsters but new abilities you weren’t aware of before. The wastelands introduced my weakness in water whereas my fight against the Rathalos introduced my ability to take to the skies. The game ultimately rewards you for trial and error. The more you play the more you learn. I never learned these lessons in a game before Monster Hunter. The question is, how much deeper can the systems go? Monster Hunter has captured the magic of learning. With every new step, you take something from that experience and apply it to future encounters. Failure is always rewarding and never a burden. Exploration generates even more rewards, discovering monsters early or new types of resources to build the ultimate hunter. I started this game overwhelmed but with the slow trickle of new systems and the brilliance of the loop, Monster Hunter has kept me coming back. After playing the game, I feel like a better hunter and ultimately a better gamer. I’ve learned about new moves and tactics I never would’ve thought before and I have the hunt to thank for that.